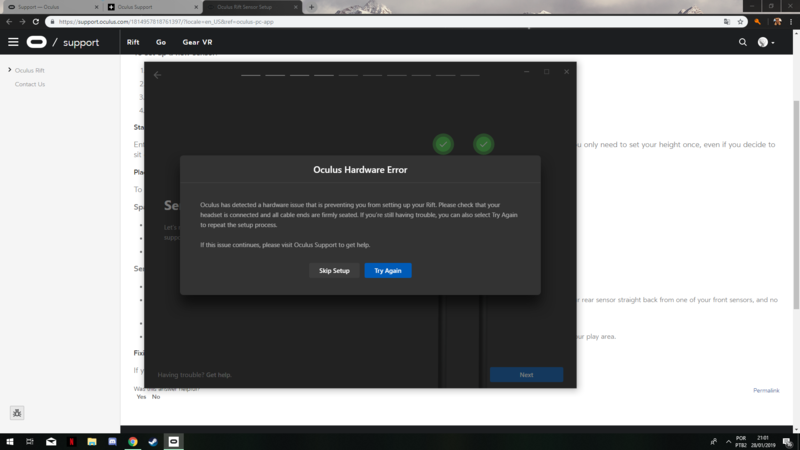 I've already had some setup problems in the past i got over them, the thing is that my headset cable broke recently, so i got another one, and when i went on setup it showed "green marks" on all of my cables (headset, HDMI, sensor 1 and 2), but when i click "next" to the sensor setup page a message pops up saying "general hardware error", but when i check my "devices" tab on the oculus software it tells me that all of the sensors are connected. P.S. I waited a little bit during when the message popped up and on the back ground it looks like the sensors are fully connected. 2. 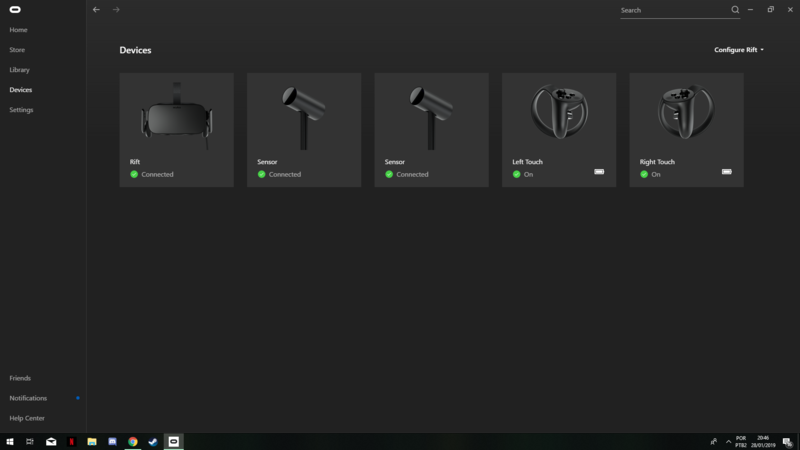 Re-Setup your Oculus HMD from the start (by either resetting the software itself, or just trying to set up the Rift system from the start). 1. try just setting up 1 sensor and the HMD (no touch controllers; might have to get a gamepad or the Rift remote). If it works, try again with the other sensor. If it fails, try again with the other sensor anyways to see if it was the first sensor's issue. 1. 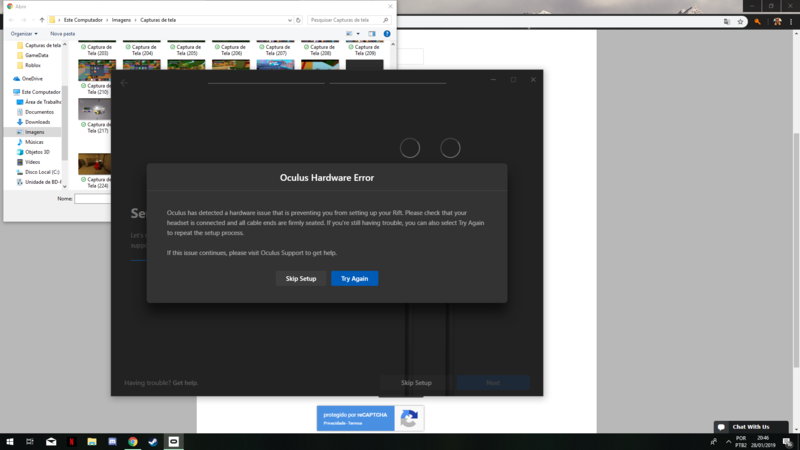 Contact Oculus support here and prepare your log files for them too (you should actually do this ASAP so you can get a response ASAP).